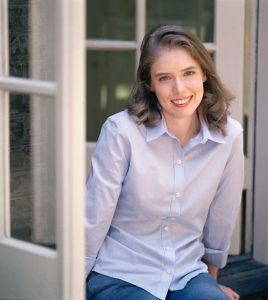 Madeline Miller grew up in New York City and Philadelphia. She attended Brown University, where she earned her bachelor’s and master’s degrees in Classics. She has taught and tutored Latin, Greek, and Shakespeare to high school students for the past 20 years. She has also studied at the University of Chicago’s Committee on Social Thought and in the Dramaturgy department at Yale School of Drama, where she focused on the adaptation of classical texts to modern forms. The Song of Achilles, her first novel, was awarded the 2012 Orange Prize for Fiction and was a New York Times Bestseller. Madeline was also shortlisted for the 2012 Stonewall Writer of the Year. Her second novel, Circe, was an instant number one New York Times bestseller, and won the 2018 Elle Big Book Award. Madeline’s essays have appeared in a number of publications including The Guardian, The Wall Street Journal, Washington Post, The Telegraph, Lapham’s Quarterly, and NPR.org. She currently lives outside Philadelphia, Pennsylvania. You can read more about Madeline Miller on her website. We’re honored and excited that Madeline will be visiting Spokane on Thursday, October 24, for two presentations.